Those of you, who like me have known and loved this symphony for as long as you can remember, may share my view that it appears to have been composed in an instant, as a complete and whole organic work. So total is its symmetry and balance, quality of inspiration and coherence of style, that it may come as a surprise to learn that the symphony we revere today is the third and final version of the work. First composed in 1914, Sibelius revised the Fifth in 1916 and again, substantially, three years later. The first version exists and to hear it is extraordinary. One wonders how Sibelius could have got it so “wrong” at first, and how “right” at the end of what was evidently a tortuous process. Perhaps this is to misunderstand the compositional phenomenon, however. How many great works of art in other spheres, literary and artistic, have undergone many and substantial revisions before achieving greatness? Sibelius great friend and musical confidante, Axel Carpelan, read the composer’s scores and shared his thoughts with great care. He had expressed some uncertainty over the various earlier versions of the Fifth, and his death in 1919 was a major motivation to Sibelius to find the form of his greatest symphony that we know and love today, as a tribute to his lost friend. Sibelius’ early works have an expansive romanticism, often expressed on canvasses much larger than he employed later in life. His largest existing score is the Kullervo Symphony of 1892, a five movement work with male voice choir and soloists, telling another tragic tale from the Kalevala, and giving us a glimpse of what a Sibelian opera might have sounded like, had he ever composed one. Other works of this time, such as En Saga were revised, usually tightening the structure. A more distilled, concentrated style became his focus from the Fourth Symphony onward. In this work, for example, the return of the scherzo is only hinted at, and it sounds as if the trio has just disappeared. The Fourth is a dark work, suffused with the composer’s fears at a time of serious ill health. Sibelius was widely travelled, immersing himself in much vital influence and experience in the musical capitals of Europe throughout the 1900s. The advent of the First World War suddenly denied all this to him, as to others, and he became almost a musical exile in Helsinki and at his home at Järvenpää. This enforced solitude brought benefits though, in the form of prolonged exposure to the beautiful landscape and nature around him. Sibelius composed a sketchbook of musical ideas, which still survives in the archives, in which we find in just a few pages thematic ideas that would grow into the last three of his symphonies and the great tone poem Tapiola. He wrote little else from 1914 until he apparently ceased composition in the late 1920s. I say apparently, for we know that an Eighth Symphony was in fact composed and completed, but the master was dissatisfied with it, and eventually took the manuscript – a symphony comprising four movements, nearly 40 minutes in duration – and burned it in the early 1940s. Had he published it I dare say that many views on late Sibelius would be dramatically different. The Fifth was originally much longer, as the first version bears witness, and also had four movements. There is great symmetry here – the symphony begins slowly and speeds up, the first movement ending at fast tempo. The second accelerates to its climax and returns to its slow ending; the finale starts fast and ends slowly. The overall structure is remarkable, and only really appeared at the end of the revision process. Sibelius sets out his store early. We hear the main themes in quick succession in the first few minutes, and they serve as seeds for much of what follows. Don’t listen for sonata form in this piece, by the way. Sibelius solved his problems of innovation in symphonic composition with what has been called Rotational form (James Hepokoski - Cambridge Music handbook,1993) where he recycles the themes with changes and development within and between his rotations. During the first movement’s second rotation, for instance, Sibelius adds a string texture which I describe as a forest fire, a great crescendo of rapid motion which almost overwhelms the main themes in the wind. Another natural phenomenon, surely: similar music is heard in the Seventh Symphony and, notably, in Tapiola, his depiction of the great northern forests. Perhaps the best-known and most thrilling revision is in the (now) first movement, where Sibelius added a bridge passage and tremendous “breakthrough” climax at the centre of the piece, seamlessly morphing the music into (what had been) the scherzo. The evidence for this is easy to see in the score, but should be undetectable in performance. The “breakthrough” had become a trademark of Sibelius’ greatest contemporaries – one need only think of Gustav Mahler in his first symphony – as a way of fulfilling symphonic form. I have always found it fascinating that this Fifth Symphony is so popular, for alongside its great power and beauty, it contains passages of extreme tonal strangeness and dissonance that would grace the scores of Arnold Schoenberg. Take the passage in the middle of the first movement where the bassoon weaves a solitary, searching lament over a swarm of strings wallowing in harmonic quicksand. Of course we come out of this into the sunlit uplands of the climax I just mentioned, and herein lies its genius: dissonance and unsettlement are comprehensible within the structure as a whole, and therefore appeal to the listener. Following the great breakthrough and lift-off into the scherzo, the music proceeds at an ever-increasing pace, with some long periods of stasis, and other rapid transitions onto new levels. Musically it is more content for the most part than the opening section of the work, but becomes more and more exultant, eventually reaching escape velocity, and disappearing in an instant. The second movement, mistakenly regarded at times as a light intermezzo between its neighbour, is in fact crucial to the achievement of the finale to follow. In its apparently innocuous lightness and dancing motifs are found the seeds of the finale’s themes: the shape of the rapid string passages at the start, and of course the great swinging theme for which the work is perhaps most famous. I am reminded of Elgar’s A flat Major Symphony here, where the scherzo theme morphs into that of the Adagio, note for note. Sibelius doubtless knew Elgar’s work. There are seven rotations in the second movement, not all of the same length but we can perceive them when we hear recurring ideas and their placement vis-à-vis one another. Toward the end we hear two brass dissonances, which seem to be saying “enough, move on”, and the end comes soon after. The closing bars’ oboe theme bears a striking resemblance to a passage early in Richard Strauss’ Also Sprach Zarathustra: a moment where, there too, it is time to leave one plane of existence and be elevated to the next. 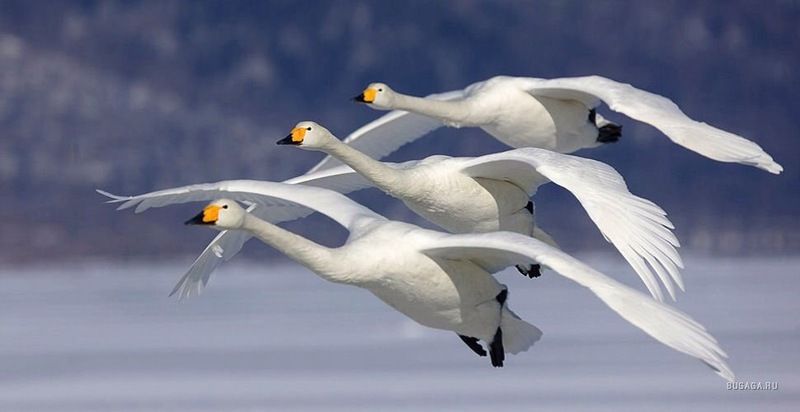 Sibelius loved the wild birds of his country, none more so than the cranes, which he described more than once in his music, and the wild swans. Seeing a flock of swans wheeling above a nearby lake one da,y he composed the famous swinging theme, which we now hear, called out in its fullness by the horns. This has been named the Swan Hymn, and it is with this that the symphony will later draw to its glorious conclusion. The rushing music returns, in the distance now, and turns a corner into the closing slow passage. The Swan Hymn is given to the oboes in E flat minor, and we enter the true coda of the symphony, perhaps its greatest passage of all. In the coming bars the music descends into the depths and rises again, transformed, striving with almost primordial power to “evolve” its resolution, its culminating chords cast down from above, as if lightning bolts from the fists of Jove.